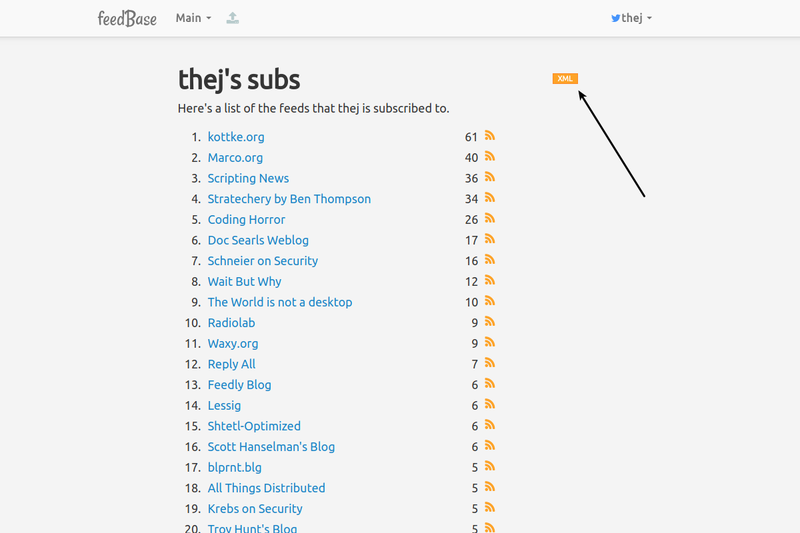 The biggest pain point of RSS feed reading is subscription management. I use different feed readers at different places. On a computer on which I can’t install a program I use browser addons. On my personal computer I use Liferea. On phones1 I use AntennaPod though which I subscribe and listen podcasts. All of them are disconnected. The subscription list is not shared amongst them. I had to subscribe to the same feed again and again in different places. I don’t care much about the unread items as I use it as a stream. I just look at the top items just like Twitter. So marking feeds as read doesn’t make much sense to me. But carrying my subscription list around is very important2. For a long time my solution was to maintain a web accessible OPML subscription lists. One for text and one for audio. Keep them updated as and when I subscribe to feeds. When the difference between different clients becomes very visible then use this central list to re-subscibe by importing. This is the process on many clients except on Liferea. On Liferea you can subscribe to a web accessible OPML list. That way when you add or remove things from the OPML list your clients update themselves. 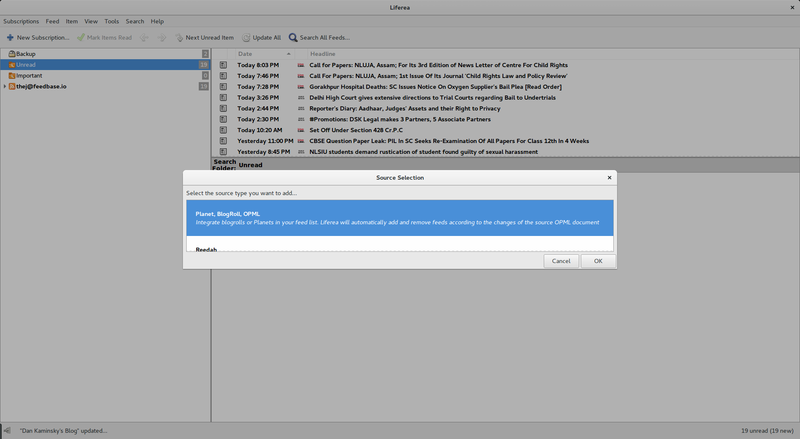 I really wished that every client had this feature, specially podcasting clients. 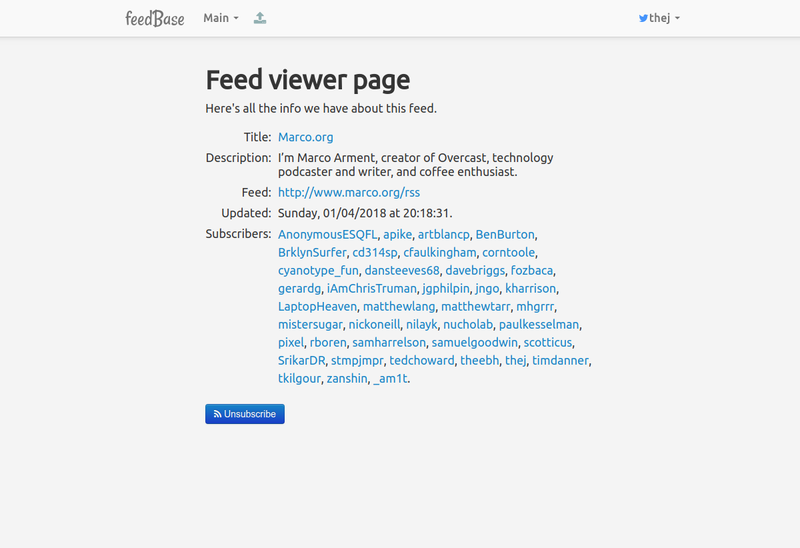 In Liferea you can subscribe to OPML feed list instead of individual feeds. Liferea will look for the changes in the OPML periodically. It will automatically add or remove feeds according to the changes in the source OPML. But maintaining and syncing the OPML subscription lists were still a pain. And then recently I saw Feedbase.io by Dave Winer. 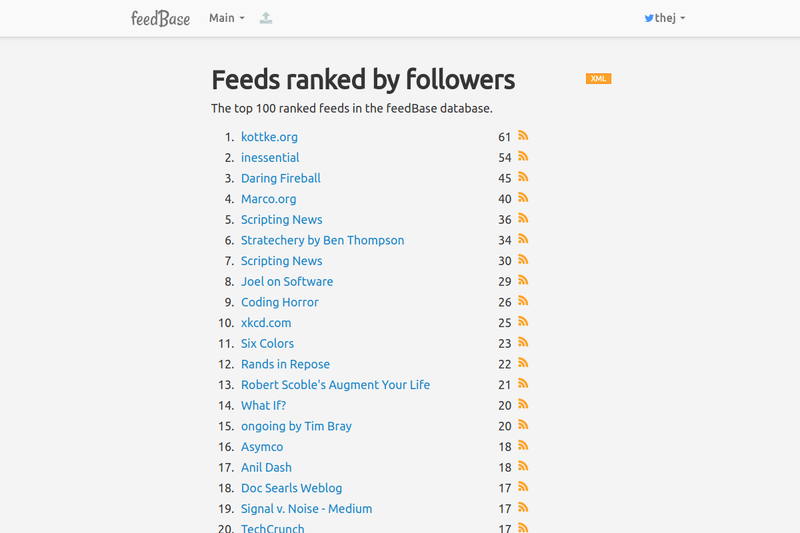 Feedbase.io is a database of feeds where you can subscribe or unsubscribe to a feed. You start with uploading your OPMLs, Feedbase takes care of merging them and creating a single OPML for you to use in your applications. You can subscribe/unsubscribe to any feed in their ecosystem by just clicking a button. This updates your subscription OPML and a capable client subscribing to this will update itself. Its as simple as that. 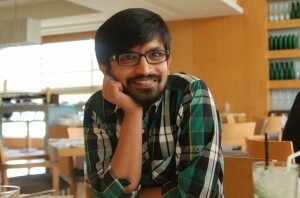 All my subscriptions on feedbase. That big orange button is my subscription OPML. Individual feed page, from where you can subscribe or unsubscribe from that feed. Someway to separate the list for podcast client – As of now there is only one OPML list for a user. I want a feature analogous to Twitter lists. So I can follow different feeds on different clients if required. Ability to add single feed – As of now only way to add feed is by uploading OPML. I want a way to add single new feed to the system. Try Feedbase along with Liferea. I am sure you will love it. If not tell me what you don’t like.